John Fearnley is away on a dolphin/whale research project in Portugal during Seawork this year. Unfortunate timing but an amazing opportunity to engage in his passion for the marine environment! However we do have a number of our surveyors & naval architects who will be attending Seawork. Mecal actively supports the work of the Small Ships Group of IMarEST. Here is an extract from the special Seawork letter from the chair of SSG, Alan Cartwright who is also a Mecal Surveyor & leading member of our Professional Standards & Technical Committees. Thank you for continuing your support to and interest in the small ships sector, for which the IMarEST Small Ships Group provides support. This has been a busy year for SSG members, with developments and advances in a number of areas. We would like to invite you to the Small Ships Group Annual Meeting to discuss recent progress and plans for the SIG going forward. The meeting will be held at Sea Work International on 5th July at 11:00 in Seawork Meeting Room 2. Please note that you will need to register for free as a visitor to the exhibition, you can register here. So this has been a very busy and exciting year, with many successes, and opportunities arising. Steve sits on the British Standards Committee for all matters regarding small ships, and has helped to update and introduce a number of British, European and International standards for our sector, throughout the year. Tom works in the inland waterways small vessels sector and represents the IMarEST on the Boat Safety Scheme, providing engineering and technical support to the safety group. 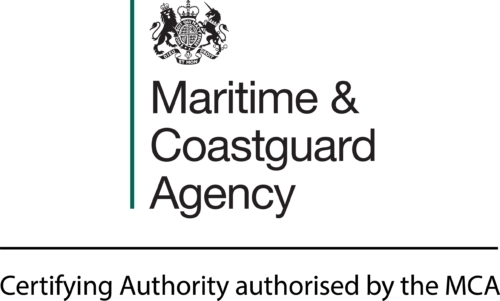 There have been a number of good discussions and developments for improvement of public and vessel safety.The group’s involvement in and contribution to the world of autonomy has been considerable, with representation on the UK’s regulatory working group, and a number of members undertaking survey and other work with autonomous vessels. Another key development, this year, has been initiation of a Government approved higher apprenticeship in marine surveying. The need was identified by the National Workboat Association, representing vessel operators, as well as employers such as classification societies, consultancies and regulators. The apprenticeship initial proposal is currently with the Government’s Institute for Apprenticeships for consideration, from which the remainder of development will grow. It is expected that this apprenticeship model will sit at Level 6, thereby qualifying successful candidate academically for registration as Incorporated Engineers through the IMarEST. Members of the Group have supported the MCA with developing a variety of supportive and industry-requested regulatory initiatives, including the updates to SCV codes, and creation of a Code for Ships over 24m and up to 500 gross tons. It is most unfortunate that the MCA had halted progress on these, due to competency and resource limitations. We, and colleagues in the operational sectors very much hope that progress can be made, in the near future, as failure by the UK’s regulator seriously risks ‘flagging out’ to alternative Flags by an industry that needs appropriate and relevant regulatory support for our sector. Various members have helped colleagues in the small ships sector, by providing advice and support in response to enquiries and questions raised through the Institute’s headquarters team. We have supported and liaised with a number of other IMarEST special interest groups, to help us and them with work.I very much hope that you will be able to join us at our annual meeting, to be held at the Seawork Conference and Exhibition, in Southampton, on Thursday 5th July. You will receive a warm welcome, hear more key detail of the areas of development, and have the opportunity to mix with colleagues over a lunch, kindly provided by the IMarEST. We look forward to seeing you.